This web site is designed to keep retired and present Liverpool Prison staff in touch; also staff who have previously worked at HMP Liverpool. The widows of ex-prison staff are invited to attend our Annual reunion nights at the Longmoor Social Club. The problem in the past is, that the only time we were in contact with each other was sadly, at funerals. A few retired staff got together and decided to set up Annual Reunions, to be held on the last Friday in October. Now, from 2012, the last Friday in September, so the date does not coincide with the school half-term holiday. There will also be an interim meeting held on the last Friday in April, (Bank Holidays excepted), to discuss the forthcoming Reunion night. 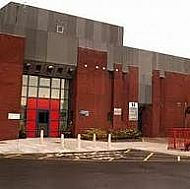 In 2006, the first Reunion was held at the Liverpool Prison Officers Social Club, (affectionately known as "The Crypt"), which has sadly, now been demolished. We have now found a new home at the Longmoor Social Club. There are now two pages for "MEMBERS ONLY". To access these pages a Login password is required. To obtain this password, email us and identify yourself, we will then add you to our address book. Retired members of staff are invited to become a 'LIFETIME MEMBER' for a one off minimum donation of £5.00. For accommodation see link below or visit the 'Accommodation Page' for further details. This website is completely unofficial, and is dependent on YOUR letting us know any NEWS ITEMS or INFORMATION you would like to be included, at our discretion.